Open Studios Animation Showcase this Friday! 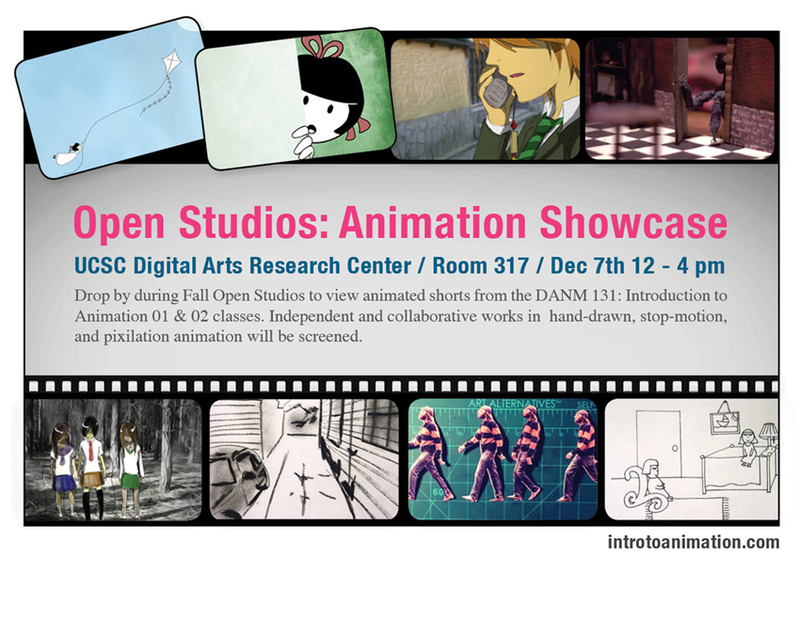 Drop by during Open Studios to view animated shorts from the DANM 131: Introduction to Animation. Independent and collaborative works in hand-drawn, stop-motion, and pixilation animation will be screened in DARC 317 between 12:00-4:00. This was the first DANM undergraduate course offered during the school year. There were two full sections taught by Jolie Ruelle, DANM '12, and Ezra Wube, a husband-wife team. You can view Jolie's animated thesis project here. The opening of Jolie's video shows her beautiful baby new baby.